The 2016 Ram 1500 comes with a newly upgraded center console, serval new colors and a host of other new amenities that make an already superior full-size pickup truck and even better option in it's class. Whether you need a truck for style or to get down and dirty at work or during a weekend getaway, the Ram 1500 is comfortable getting the job done or having a little fun. At Sulphur Springs CDJR, we pride ourselves in being one of the premier dealerships in the entire area. Our team consists of knowledgeable and friendly Ram representatives, so if you are near the Tyler, and Greenville come down to Sulphur Springs CDJR to discover the 2016 Ram 1500. We look forward to serving you today! With a smooth and refined ride, a responsiveness usually reserved for smaller vehicles, the 2016 Ram 1500 is more than just a pickup truck. 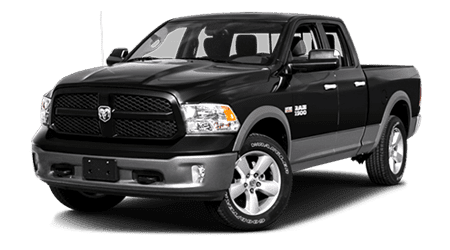 The Ram can eat up the road, take a right turn into rough terrain and handle it with ease, and then pull into a valet parking station and look right at home with other luxury cars. For buyers planning to purchase a new vehicle, versatility should be of the most importance, and the Ram provides that in spades. When you are ready to discover the premier full-size pickup truck on the market, stop by Sulphur Springs CDJR, where we treat customers like old friends. We serve patrons from Tyler, and Greenville and are located at 1505 Industrial Drive West, Sulphur Springs, TX 75482. Stop by to schedule a test drive in the 2016 Ram 1500 today!